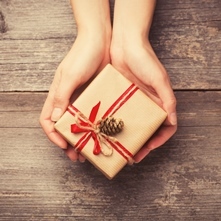 Give the perfect gift – stop by a Mid Penn Bank location near you and pick up a Visa® gift card! Mid Penn Bank is proud to offer Visa® gift cards. Gift cards are perfect for birthdays, holidays, weddings, graduations and other special occasions. View terms and conditions here. Gift cards are available to Mid Penn Bank customers only. Visa® gift cards are available at all of our conveniently located branches – visit us today!